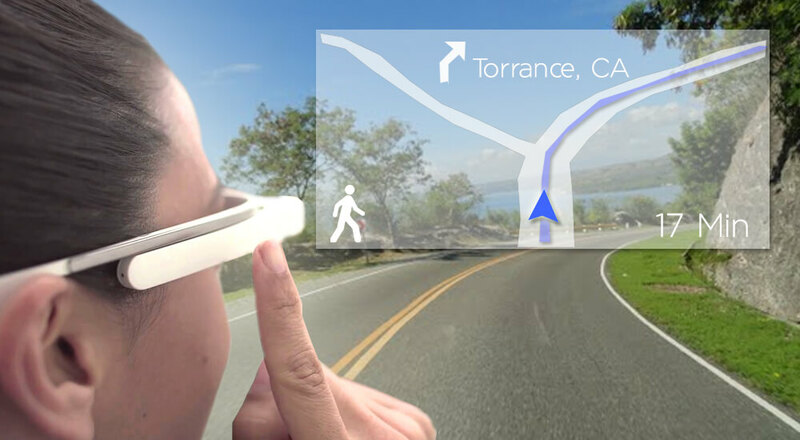 Google Glass: The Wearable Solution That Shapes Your Travel! Does travelling to new places pumps up your adrenaline? While, preparations before travelling makes you weary and absence of expert guide puts off the ultimate fun and excitement of the trip? If yes, then breathtaking wearable technology with its world class solutions irons out them seamlessly. Google glass is the handy solution that revolutionizing the tourism in every possible way and help the trippers right from the directions for the backpacking to the flight booking to the travelling new places. The wearable device do all things that a smartphone can do, keeps the user hands-free and works on voice commands as well. Let’s see what exactly is a Google glass? Google glass is one of the wearable digital glasses that accept touch, swipe and voice-command like smartphones. This digital glass wear over eyes resemble a pair of eyeglasses and displays all the information within a small translucent square in the top right corner of the wearer’s field. The wearable that fits your lifestyle is connected with internet through Wifi or Bluetooth. Video chats, weather reports, language translation, flight itineraries, hotel booking, instant reservations and currency conversion could be known & viewed effortlessly on a glass which makes travelling experience phenomenal. Now, take a peek inside, how Google glass eases the annoying aspects of traveling! During traveling, it’s really difficult to know about nearby locations, shops, hotels, restaurants in foreign land. Many times, the places remain unvisited even when they are in your immediate vicinity. Wearable solution take away the need to look down into your phone and right before your eyes show the places near around and history, architecture, and hidden gems related to the landmark or destination. On Android & iOS, the location-based alerts appear on smartphone screen while on glass, card appear as a notification when you are near point of interest. Planning for a world tour? It’s awesome, but what about when you won’t be able to speak the language of the country you are traveling in. You would not be able to enjoy at fullest. Of course this language barrier brings hurdles in your travel. Google Glass app translates foreign language on billboards, menus instantly and user can read them when look through the glass in real-time. Even, this magical application accepts voice-command and keep the background color and font same. After reaching the airport, generally, people rush towards the gate with luggage in tow and coffee in hand. If instantly a gate-change notification or flight status update come on their mobile phone, it is not possible for them to check the phone meanwhile and they may reach the wrong gate, right? Instead, it becomes exciting when you receive all this information in front of your eyes. Isn’t it? Google Glass app TripIt bring this information at eye level and show the travelers their flight details upon the arrival at the airport. With a single tap, user can view flight status, departure time and gate simultaneously. Well, it is not advisable to text, view or search anything while driving on the road. It distracts driver’s mind and increases the chances of accident as well. Then, how can you check while driving in a foreign city that you are headed in a right direction or not? Wearable solution provides the user spoken directions or directions in front of their eyes, and this way driving remains focused and user gets assisted as well. Using GPS location, glass gives turn by turn direction and even, when user turn their head, glass knows which direction user is facing according to the map. Wearable solutions are a lot more useful for travel. Glassware apps make the travel most amazing and offers extremely stripped-down experience. Eyewear takes away the need for looking down into the phone for anything. Embrace these emerging solutions that complete your travel package and blow you away with their significant impact!